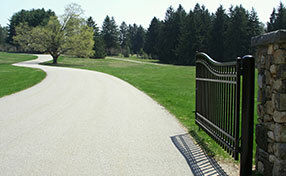 Automatic Gate Calabasas is one of the best driveway gate companies in California. We have put in many long hours over the years providing outstanding driveway gate services to the customers in our community. 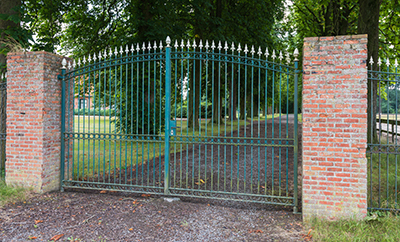 In addition, we are a multi-functional driveway gate contractor because we offer driveway services for every aspect of the gate process from installation to repair. We can install a variety of gates, motors, gate openers, and intercom systems to those who need it. Our fees are low and our quality high. 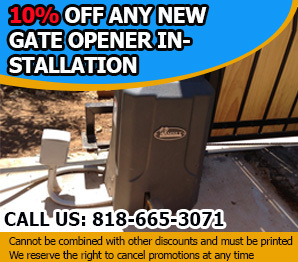 At Calabasas Automatic Gate we believe in doing the job right the first time; and earning our customers trust through hard work, dependability, courtesy and honesty. Our driveway gate contractors leave no stone unturned when they investigate gate repair service issues. If it is broke we can repair it or replace it. If you just need one; we can install it as well. Our Intercom & Install service is one of our most popular. Having an intercom and phone system mounted on your gate enables you to communicate with would be visitors and let you permit entrance or not. These systems are great for homes and businesses a like. Our techs can install a keypads entry system or a telephone entry systemdepending on your desire. With a keypad system the visitor will have to punch in a code that allows entrance. The phone system will require the visitor to tell you who they are and what they want. Either way; an intercom and phone system places the process of safety and security back in your hands. 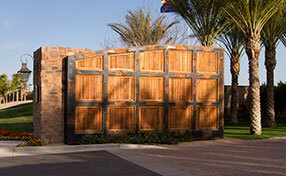 We also offer a Custom Made Gate Service at Automatic Gate Calabasas. You can have us build your gate to your exact requirements. We can include an emblem or logo and use whatever design meets your expectations. You choose the style, the color, and any additional accessories you want with your custom made gate. There is no better way to transform your personality into the entrance into your home or business. Driveway Gates is what we do. We repair them, we install them and we add to them as well. 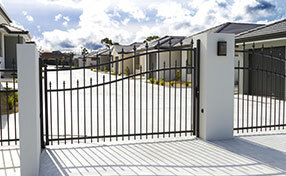 We offer a variety ofdriveway gates and our fence/gate contractors can work on them all. Here is a list of some of the great gates we can provide to businesses and homes a like. There is definitely a gate for everyone.